While watching a program on our big screen TV the picture suddenly faded to black. After some initial investigation of the problem, my husband wheeled the set out of the family room. What followed caught me off guard. It wasn’t just any big screen TV but the last one my Dad had bought before his death over 10 years earlier. He loved watching it and enjoyed sharing it with his family. Until it stopped working I hadn’t realized it’s presence in our family room was offering me a comfort and connection to him. With its failure came an unexpected wave of grief. After helping to supervise my dad’s care for a few months, he passed away in 2006. With his passing came the full-time responsibility of managing my mom’s care. For the next five years our family journeyed through Alzheimer’s and the end-of-life process with her until she joined Dad in 2011. So in 2013 when our almost 20 year old Siamese cat Panda passed away, I was unprepared for how her death would affect me. With her passing came a flood of grief related to losing both my parents and the sorrow of feeling like an unsuccessful caregiver to all three. At times the weeping and sorrow experienced felt overwhelming. Looking back I realize how the responsibility of caring for my parents had delayed my own grief process in working through their losses. Gaining experience with Panda’s death caused me to set into motion three ways to help face this unexpected grief triggered by the TV’s demise. Allow myself to feel a range of emotions. At the moment the sorrow hit me, I allowed a few minutes to feel the emotions. Psalm 34:18 reminds me that the Lord is near to the brokenhearted, so I’m not alone in working through sadness. 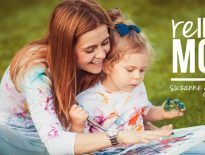 Once I worked through the initial grief, I chose to reminisce of memories watching TV with Dad and to focus on the joy of having it in our house for so many years. He would have been pleased knowing we had appreciated it after his passing. Connect with others. Thankfully I was watching TV with family members when the set went out, so when the sadness surprised me, I acknowledged to them how I was feeling. From past experiences I’ve found it’s better to share my emotions openly than to risk it effecting me long term. Be prepared for the unexpected. 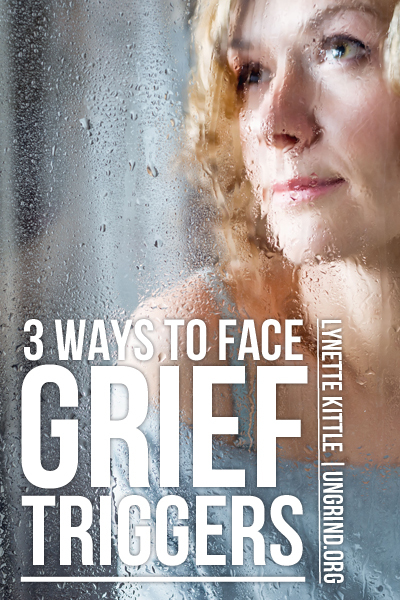 Grief triggers occur and it’s difficult to know when, where, or what may set one off. From the smallest reminder of a loved one to something totally unrelated, it’s hard to predict what may spark a memory. Yet it’s helpful to be aware it can happen, that it’s okay to express feelings of grief, and to understand I don’t have to face it on my own. At the age of six, I remember the sudden realization that someday my parents would die. It was a heartbreaking reality followed with a night of tears. Offering a small taste of the grief involved in losing a parent, it helped me at a certain level to empathize with others during their losses. Once my parents passed away, I gained a deeper comprehension of how to identify with others during their losses. What’s more, 2 Corinthians 1:3-5 encourages me to turn to God during times of grief because He is the Father of mercies and God of all comfort. He offers an open invitation to lean on Him and when I do, Scripture states that the solace God gives to me during my difficulties will help prepare me to extend consolation to those around me in their times of need.